With the highest HIV prevalence in the world, Eswatini has experienced a dramatic decline in life expectancy. Maternal, child and infant mortality rates are also high. 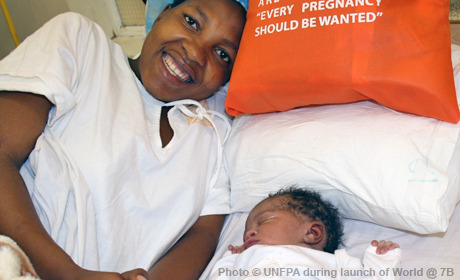 UNFPA support helps national institutions combat these trends by extending high-quality, integrated sexual and reproductive health services, including for HIV prevention, family planning and maternal health. Programmes also support the integration of population data into development planning, laws and policies to achieve gender equality, and to prevent and respond to gender-based violence. SHISELWENI, Swaziland – “We have high youth unemployment and high teenage pregnancy,” Mr.